GREENVILLE, S.C. — A federal judge in South Carolina says that a school district’s continuing practice of including invocations and religious speech at public school graduations is a “cultural residue” left over from historical practices, and that its allowances are wrongly “continuing to color and confuse the application” of its recently revised policies intended to establish neutrality toward religion. “As the court remarked in its prior order, ‘because of the historical inclusion of prayer and religious speech at graduations, in this school district and State, it is conceivable that the cultural residue of prior practices might continue to color and confuse the application of, even now, constitutionally neutral practices,'” wrote U.S. District Judge Bruce Howe Hendricks, appointed to the bench by then-President Barack Obama, on Dec. 12. “Based on the evidence submitted by AHA, it appears that the historical practices of the school district are, in fact, continuing to color and confuse the application of what appears to be a constitutionally neutral prayer policy, but what, in practice, may not be,” she wrote. As previously reported, the parents of a fifth grader contacted the American Humanist Association (AHA) in 2013 to complain that Mountain View Elementary School had held its graduation ceremony at the chapel on the campus of North Greenville University, a Christian institution in Traveler’s Rest. They also cited that prayers had been presented at the event by two students. In response to the complaint, AHA wrote to the Greenville School District, demanding that it change the location for future events and that it discontinue the presentation of prayers at school ceremonies. The district responded by slightly adjusting its policies to ensure that any religious venue was “devoid of religious iconography,” and that any prayer was student-led and initiated. Being dissatisfied with the response, AHA filed a lawsuit in federal court, requesting an injunction in an attempt to force an end to the practices via court order. She also found AHA’s contentions about the venue utilized to be moot since the family who complained had moved, and the schools that their children now attended did not use Christian sites for graduation ceremonies. The matter then was deliberated by the Fourth Circuit Court of Appeals, which largely agreed with Hendricks, but also sent the case back to the lower court for further deliberation on some of the claims and to determine whether AHA still had standing to complain about the revised prayer policy since the previous complainants had moved. AHA consequently submitted affidavits from other humanist members who lived in the district. On Dec. 12, Hendricks ruled that the district’s past use of Turner Chapel for graduation ceremonies violated the Establishment Clause of the U.S. Constitution. “The fact that the district chose to hold the ceremony (which included school-endorsed Christian prayers) in a clearly Christian place of worship in the presence of religious iconography, including, among other things, a cross on the podium and eight stained glass windows depicting Christian imagery, only further created a likelihood that observers would perceive the district as endorsing a particular set of religious beliefs,” she outlined. 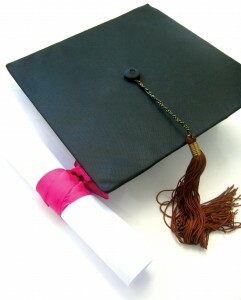 Hendricks stated that it appeared that schools within the district continue to include invocations at graduation ceremonies, and that, according to one parent, the song “The Lord Bless You and Keep You” was sung by the Wade Hampton High School Choir during both the 2015 and 2016 ceremonies. She asked the parties to take the next 60 days to attempt to mediate the situation between themselves, considering any further policy changes that could amend the situation. If mediation is not successful, the matter will be judged by the court. “We remain confident of our position in maintaining a legal and respectful educational environment for students from all backgrounds and beliefs,” it said. 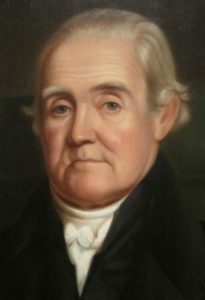 As previously reported, throughout early America, textbooks such as Noah Webster’s “Blue Backed Speller” and Benjamin Harris’ “New England Primer” contained numerous references to Christianity, and those such as Webster were strong advocates for teaching children the ways of the Lord.